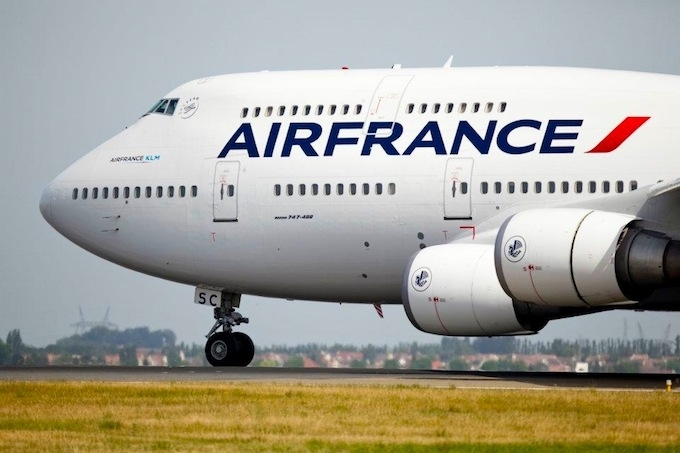 Air France and KLM introduce new onboard WiFi trial service for long haul flights, finally bringing connectivity to European airlines. While WiFi friendly flights are not uncommon in the US – with airlines like Virgin, Delta and American Airlines frequently offering on-board connectivity – Europe has been dragging its heels. However, Air France and KLM have started a trial that hopes to transform air travel for passengers on long-haul flights, and on 29 May 2013 the airlines launched their first Wi-Fi-enabled flights. Now passengers can use their smartphones, laptops or tablets while en-route to their destination at 40,000 feet. Air France’s Paris to New York flight was the first flight to trial the new move and all of the company’s Twitter feeds were buzzing with excitement during the flight, which was tagged #AF012. The flight left Charles de Gaulle airport in Paris at 10.35 and arrived at New York’s JFK at 12.35. While in-flight staff wore T-shirts sporting the hashtag #AFwifi on their backs, passengers trying out the on-board connectivity were nothing but enthusiastic and posted images of blue sky, the meal service and even evidence of AirFrance’s functioning WiFi settings. The trial is being carried out in partnership with Panasonic Avionics on two Boeing 777-300s and the rates will be the same no matter what class the passenger is travelling in. The cost is €10.95 per hour or €19.95 for the full flight, and payment is by credit card. Once the plane has reached 20,000 feet the WiFi service starts, which was documented by many passengers on the AF012, including @marinms, whose Twitter profile states he is Head of Digital Marketing at Orangina Schweppes. “First #AirFrance Tweet at 20,000 feet above the Atlantic thanks to #AFwifi,” he tweeted. “This inflight connectivity test phase on long-haul flights perfectly integrates our ongoing strategy to offer our customers even more new products and services,” commented Alexandre de Juniac, Chairman and CEO of Air France. KLM flight KL757, which was the first flight to trial KLM’s WiFi – using the hashtag #KLMwifi – left Amsterdam’s Schiphol airport at 13.05 and arrived in Panama at 16.50. Although there appeared to be less tweeting on the KLM flight, one passenger, a Dutch illustrator @onLeon, tweeted an image of an infographic (mobile devices with the words “switch off” in red) he was commissioned to make in 2007 and observed how now “they are hopelessly outdated as @KLM flies with #KLMWIFI”. Currently travellers can check if their flight is going to offer Wi-Fi by accessing the Routehappy website, but with European flights usually scoring a dismal “none” in the WiFi column, it seems as though it will still be a long-haul before we can expect WiFi to be all part of the service.